Antigua club and organisations: Antigua & Barbuda Sailing Association. The Antigua & Barbuda Sailing Association is the National Authority for sailing in Antigua and Barbuda reporting directly to the International Sailing Federation, ISAF. 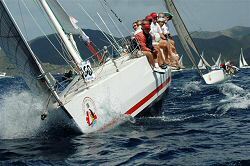 The Association is a member of the Antigua National Olympic Committee providing the liaison between these bodies and the member clubs, Major Regattas and sailors in Antigua and Barbuda. Membership consists initially of sailing Clubs and the Major Regattas but will be opened for general membership in the future. 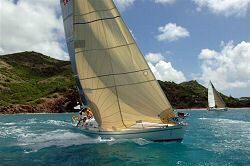 Antigua and Barbuda are renowned for or fine sailing waters, constant trade winds and many bays and beautiful beaches that provide such a fine venue for sailing regattas. 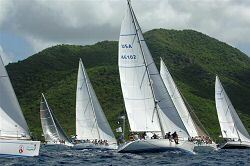 Best known internationally are the annual Antigua Classic Yacht Regatta and Antigua Sailing Week. 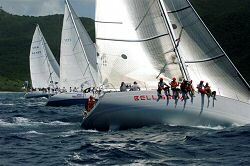 Antigua also hosts a number of other events that include the Around the Island Race, the Jolly Harbour Valentines Regatta, the Annual Barbuda Cruise, Green Island and Carlisle Bay races, Saturday racing at Jolly Harbour, Laser, Optimist and Zoom dinghy sailing events at the Antigua Yacht Club and Club Colonna Sunsail programs, On-Deck Match racing on Beneteau 40.7’s, Dragon Class events at the Harmony Hall Yacht Club, the Jolly Harbour Annual Regatta, and the popular High Tide series in December, ending with the Lord Nelson’s Pursuit Race. Sailing and yachting make a major contribution to the economy of the island and most importantly to the education and development of our youth. Both the Antigua Yacht Club and the Jolly Harbour Yacht Club have programs for involving the youth of Antigua in the joys of sailing. Model Boat racing has also seen interesting development of custom designed craft modeled after famous yachts that visit and participate in Antigua Many have gone onto careers in marine trades. Several have represented us at the Olympics, Pan American games, Central American Games and other International events. There are currently 4 young sailors on scholarship at Hampton’s University in the USA. The Antigua & Barbuda Sailing association is here for all sailors.